Sierra Pacific Industries to clearcut log near a pair of rarely seen great gray owls. This THP is just south of the Carson Pass Highway 88 and the Mokelumne River and about 4 miles east of West Point, CA at an elevation of 2,800 to 5,000 feet. Sierra Pacific Industries is planning a mostly clearcut tractor based logging operation on steep and unstable slopes in ponderosa pine, sugar pine, white fir, Douglas fir and incense cedar forests. There are 8 unstable areas mostly related to damage from storms during the winter of 2016/2017 including; multiple road related fill slope and crossing failures, erosion along a steep headwall swale within the SE portion of unit 1597, a small fill failure north of a landing in unit 2017, a fill failure off a landing and erosive wet area near the eastern boundary of unit 2068, and a fill failure off a landing that resulted in a debris torrent along the SE border of unit 2080. SPI is planning to use and construct roads, landings and crossings during the winter period, and use ground based equipment on slopes over 50% grade with a high erosion hazard in units 1597, 2017 and 2080. They also want to use ground based equipment on unstable areas in units 1597, 2017, 2068 and 2080. 25 road drainage sites are planned for work including rocking, dip construction, ditch cleaning, culvert repair/replacement and restoration of washed out crossings. 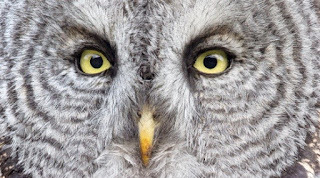 In 2016, a nesting pair of great gray owls (rarely seen - state “endangered” species) was spotted in section 21. In 2008, a golden eagle nest was reported in section 15, a northern goshawk nesting territory is located in section 21, and a foothill yellow legged frog was found sunning itself on a road proposed for use in section 21. There are 14 botanical protection areas for coleman’s piperia (unit 4301) and Sierra clarkia (units 314, 1584, 1597, 2068, 2017, 2082, 4301) in sections 14, 19, 20, 21 and 24. Seven CA spotted owl nesting territories are located within 1.3 miles of the THP area in sections 13, 14, 16, 18, 22 and 29. 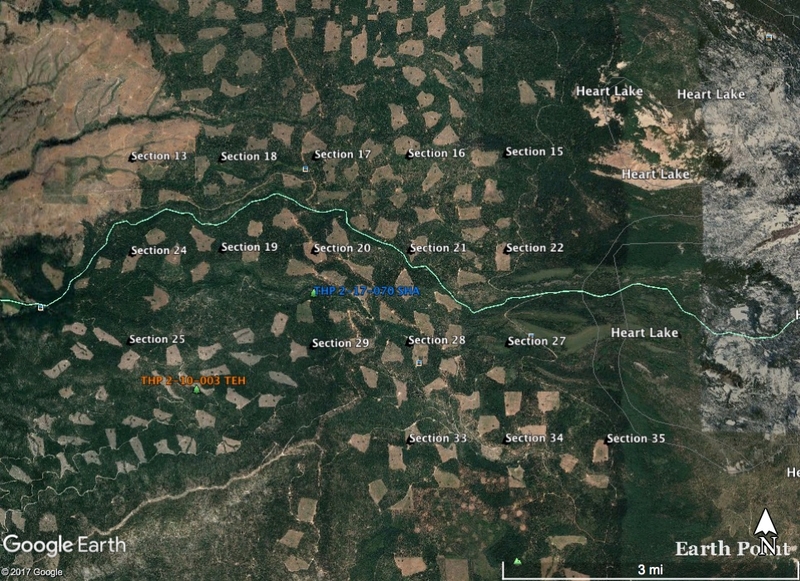 Sierra Pacific Industries to clearcut log west of Heart Lake and Mount Lassen. This THP is about 12 miles SE of Shingletown, CA and Highway 44, and about 8 miles west of Mt. Lassen near Heart Lake at an elevation of 4,000 to 5,800 feet. 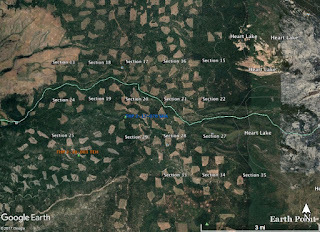 Sierra Pacific Industries is planning a clearcut tractor and cable logging operation in ponderosa pine, sugar pine, white fir, Douglas fir, and incense cedar forests. Landings, roads and crossings are proposed for construction and use during the winter period, and temporary roads up to 500 feet in length are proposed for construction without pre-designation. The construction and use of a temporary tractor road is proposed within a class I (year round) and class II (mid sized) watercourse in unit 66. 77 road drainage sites are planned for work including rocking, dip construction, ditch cleaning and culvert repair/replacement. Giant checker bloom was found within harvest units 26, 52, 66 and 76, Mingan’s moonwort was found within a wet area in unit 52, and Butte County fritillary was found within harvest units 4, 18 and 20. There are 3 CA spotted owl nesting territories within 1.3 miles of the THP area. Sierra Pacific Industries to log in nice high elevation stands near California’s only wolverine. This THP is about a dozen miles NW of the summit of I-80 and about 6 miles SE of Sierra City and Highway 49 at an elevation of 6,080 to 7,240 feet. Sierra Pacific Industries is planning a mostly group selection tractor based logging operation in nice high elevation stands of true fir, Jeffrey pine, sugar pine, lodgepole pine, quaking aspen and white pine forests. 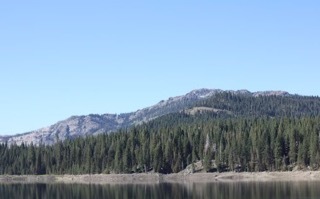 The THP area is adjacent to the western and southwestern shores of Jackson Meadows Reservoir (sections 19 and 29), which is a popular boating, canoeing, swimming and fishing destination near 5 campgrounds (Aspen, Wood Camp, Pass Creek, Fir Top and Findely). A WOLVERINE was spotted in the general vicinity of the THP area (unspecified) during the winter months of 2008-2009. SPI is planning to use and construct landings, roads and crossings during the winter period, and use 2 existing landings inside class III (intermittent) watercourses. They also are planning to use 150 feet of an existing tractor road inside a class II (mid sized) watercourse in section 29, and use an existing tractor road crossing inside a class II (mid sized) watercourse in section 31. Nine road drainage sites are planned for work including rocking, dip construction, ditch cleaning and culvert repair/replacement. There is a 1999 report of a northern goshawk sighting .04 miles from the THP area in section 29, and in 1992, a Sierra Nevada foothill yellow legged frog was reported to be 2.68 miles from the THP area in section 9. Obtuse Stellaria was found under moist alder thickets and adjacent to creeks in sections 19 and 31, and scalloped moonwort was found just below a spring at the top of an alder thicket SE of Catfish Lake. There are 3 CA spotted owl nesting territories within 1.1 miles (.01, .06 and 1.1 miles) of the THP area in sections 25, 30, 32 and 35.